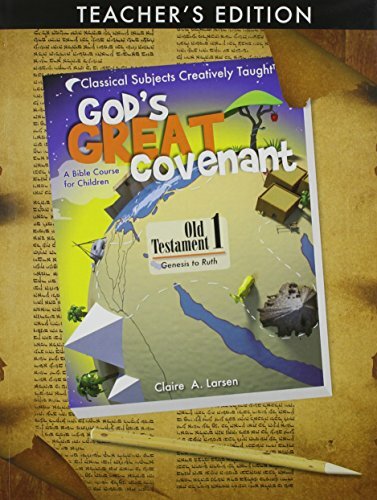 God's Great Covenant, Old Testament One teaches the Biblical narrative chronologically, from Genesis to Ruth to elementary aged students. The Old Testament is a narrative of God's faithfulness to his people, and the overarching themes of the promises and power of God are presented in weekly stories. The workbook text contains thirty-two weekly chapters along with maps and 3D illustration. Recommended for second grade and up. If you have any questions about this product by Classical Academic Press, contact us by completing and submitting the form below. If you are looking for a specif part number, please include it with your message.